We as humanity, are at the cusp of a change. A change that is so paradigm shifting that it can be baffling and bewildering. The pace at which this change is being thrust upon us makes it hard to fathom its impact. Would it be benevolent and beneficial? Or will it be perilous and pernicious? At the forefront of this ambiguous albeit inevitable change lies the forces of Information Technology (“IT”). With surging Quantum Leaps, the costs of computing have plummeted while its complexities have increased exponentially. What will this rampage of an evolution mean for the world as a whole? 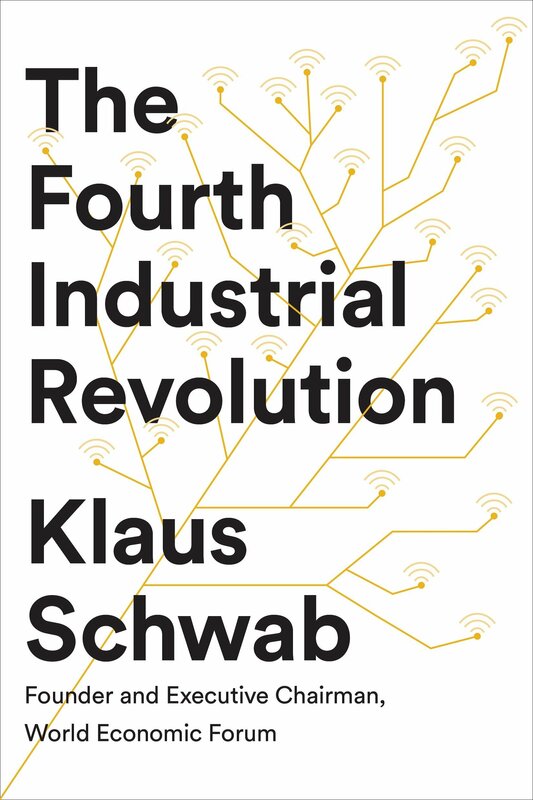 There can be no individual better qualified than Klaus Schwab to tackle this issue head on and he does exactly that in his groundbreaking work “The Fourth Industrial Revolution” (“The Book”). The Founder and Executive Chairman of The World Economic Forum, Schwab is at the epicenter of the seminal changes that are affecting the way in which we go about living in what is fast turning out to be a unique and fast changing world. In this book he goes about dissecting this change in an unbiased and impartial manner. The fourth industrial revolution, according to Schwab is driven by what he calls, “Megatrends.” These Megatrends include autonomous vehicles, 3D Printing, advanced robotics, new materials and digital and biological shifts. The impact of these megatrends as Schwab stresses are felt by the Economy as a whole, in the economic growth in the aggregate, by an aging population which is “forecast to expand from 7.2 billion todays to 8 billion by 2030 and 9 billion by 2050.” This influence also has a bearing on Total Factor Productivity (“TFP”), employment and labour substitution. Schwab asserts that governments of the world need to sufficiently plan for and regulate our new capabilities to ensure our security. There might be a rise in the social tensions courtesy the socioeconomic changes ushered in by the Fourth Industrial Revolution. Obsolescence in the job market coupled with an enhanced sophistication curve might lead to an exacerbation of inequality and the attendant discord. Stressing on a proactive approach to shape this technology and disruption, Schwab emphasizes that there is a pressing need for global cooperation and a shared view of how technology is reshaping our economic, social, cultural and individual lives. As Schwab concludes, the world needs to \develop leaders possessing the requisite abilities \to tide organizations through these dramatic shifts. In the capacity of responsible professionals, we need to embrace change and accept that what our employment looks like today might be a sea change from the shape which it would assume tomorrow. We need to better equip ourselves through education and training to be prepared for this paradigm shift and diametrically different thinking that will redefine what may well be the workplace for tomorrow.